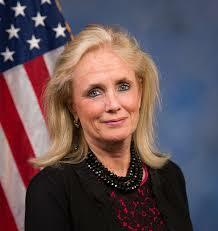 Purple Walrus Press: U.S. Congresswoman Debbie Dingell statement on President Trump's decision to withdraw from Iran Nuclear agreement. U.S. Congresswoman Debbie Dingell statement on President Trump's decision to withdraw from Iran Nuclear agreement. U.S. Congresswoman Debbie Dingell (MI-12) today released the following statement on President Trump’s decision to withdraw the United States from the Joint Comprehensive Plan of Action.